Summertime is just around the corner, and to celebrate, Susannah from Feast + West and Erin from The Speckled Palate are hosting the Great Blogger Barbecue! That's right: sizzle sizzle! There’s no better way to kick off the summer than getting together with friends over food and drinks and these coconut blueberry vodka ice pops :) We’re inviting y’all to join in on the fun. We're bringing you 50 recipe ideas from cocktails and mocktails to casseroles and desserts. Scroll to the very bottom to see and clock on what everyone else is making! Speaking of desserts, as soon as I was asked to participate in the BBQ, I knew I was doing these pops. It's nice to make stuff for the kids, but these are Adults Only. My only problem: I didn't have molds. I went to Target and found some, but they were $12.99. About $8.99 more than I wanted to spend. I spent 2 days looking for them and all I needed to do was go to Marshall's. $6.99. Boom. Insert celebration dance here! I used some of that very good sweet potato vodka in these little guys. And fresh blueberries. I'm still into blueberries! I can't help it. They're smooth, a little creamy and a great finish to a big, grilled holiday meal. Whisk together coconut milk, vodka and powdered sugar in a small bowl or measuring cup. Set aside. Place the blueberries in a large bowl and muddle slightly. 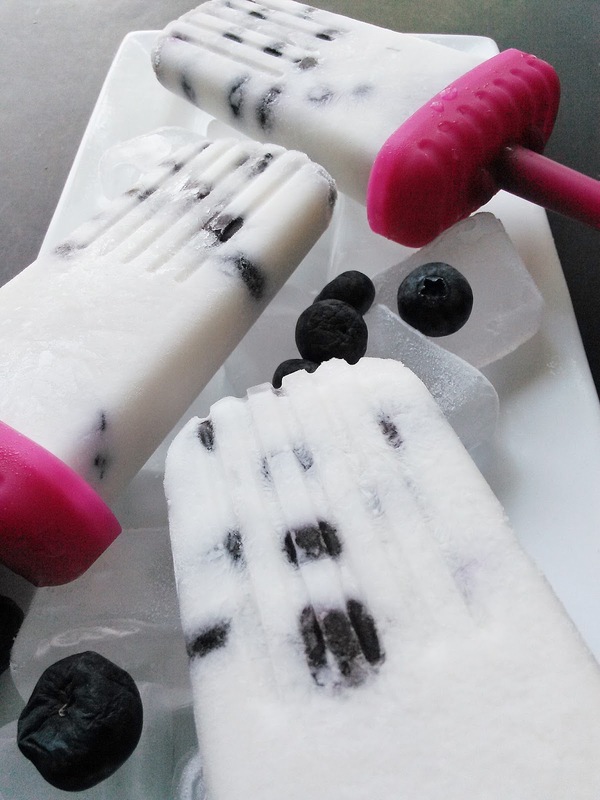 Spoon blueberries into each ice pop mold. 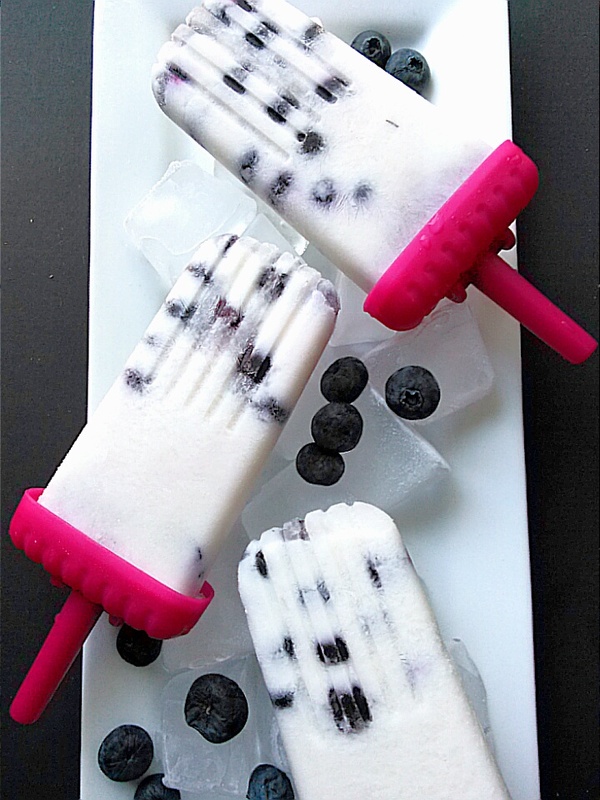 Pour in coconut milk mixture and top with more blueberries and juice. Freeze 4-6 hours. Because alcohol does not freeze, do not add extra vodka or you'll have a mess on your hands. With the unofficial start of summer next week, it’s almost barbecue season! 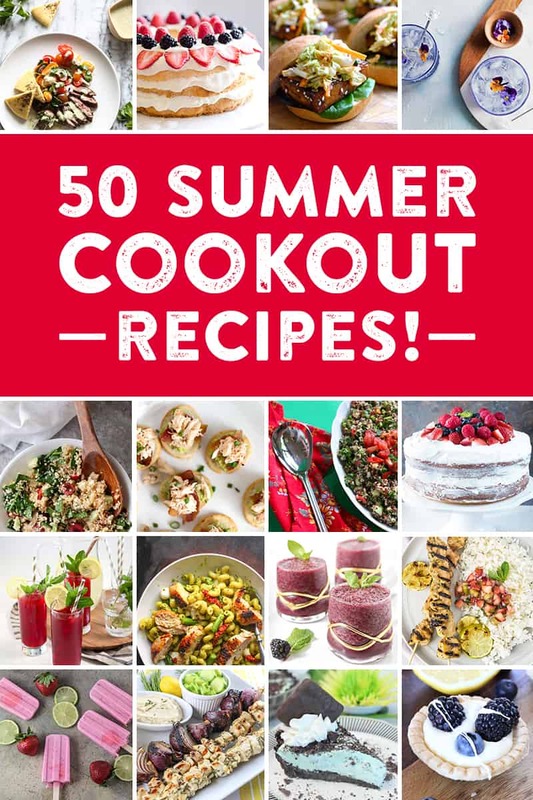 In celebration, I’ve teamed up with several fellow bloggers to bring you 50 recipe ideas for a smashing summer shindig. See all the recipes for our Great Blogger BBQ below! I'm all over this recipe it will be great for summer cookouts. Did someone say sweet potato vodka? ok these are just brilliant. It was so nice meeting you at the conference! I had a great time and hope to go next year as well! Sweet potato vodka?!?!? That's a thing? Mind blown. 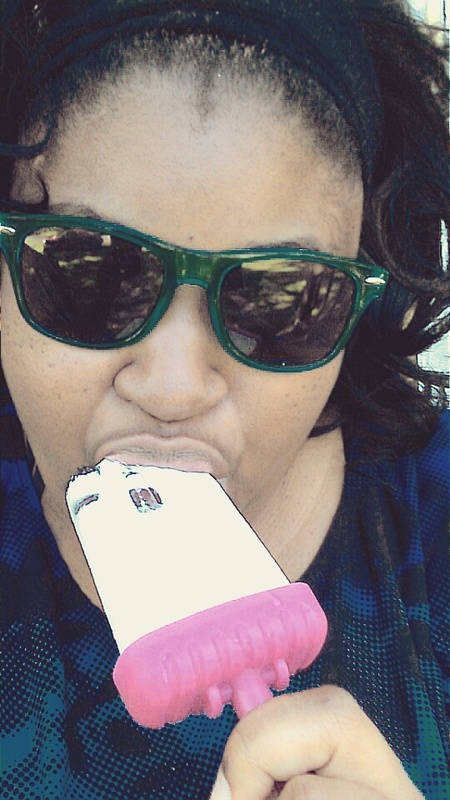 And I love the combo of these popsicles... Yummatola! What a delicious round up. Nice to have a little treat strictly for the adults. I love coconut milk with blueberries! 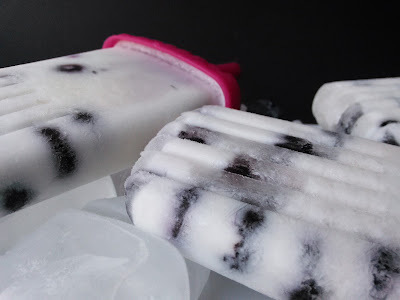 Vodka pops - YES! Also I shop all the time at Marshalls. They have so many great deals !